Solving economic equations in the morning, harvesting rice among the locals in the afternoon, and coaching the English language to Japanese degree-seeking students in the evening. With days like these, every day qualified for me as being an adventure of intercultural discovery. 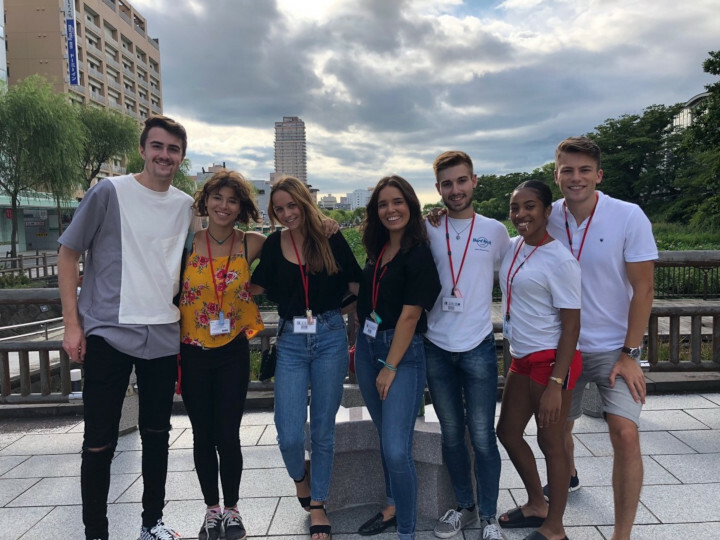 My decision to study abroad in Japan was not just because of the reputable minor, nor the exquisite Japanese cuisine, but foremost to further develop my intercultural competence and interpersonal relationships. Arriving at Tokyo was quite the experience, little did I know, that Akita would amaze me similarly. The great contrast from the metropolitan area to an agricultural prefecture was a mild shock to me. AIU did its very best making me comfortable within the first week. 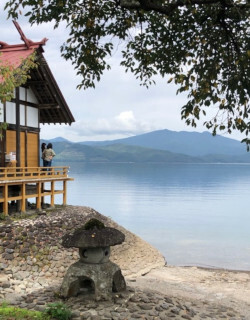 Before long, AIU had organized a bus trip to lake Tazawa, which is the Japan’s deepest lake. From my personal view, the sight was stunning, the sheer calmness and the color transition from the icy blue water to the dark forest green, had me both amazed and chilled. This trip has been my favorite experience at AIU to date. In terms of academics, my favorite class has to be European Politics and Economy. As a European citizen, my knowledge and engagement with the Union is quite respectable. Yet, the different insights and perspectives from Japanese students upon the Union has made it so much more interesting. For myself, I have taken the Union for granted, but within Japan looking upon the Union from a distance, makes it seem much more of an achievement. In my closing, I wish to state that there is no denying that the campus is quite small and rather isolated from the populated areas, which is something that, if I knew beforehand, might have negatively weighted my initial decision to study at AIU. However, the small size of the university does have its charm, as the faculty members are very caring and conforming to each student. Fortunately, I have already had multiple opportunities to travel to several highlights in Japan in between lecture days. AIU Global Review Volume 10 has just been issued.